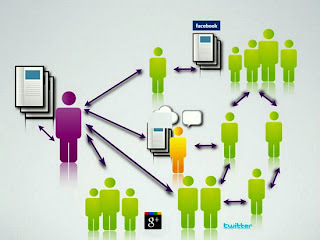 Social Networking sites have been on the best side for marketing your business whatever it is you are running online. You need it always to build your credibility with the online world. You may be known to the people surrounding you, but if you need to go global, you need them anyway. As of 2013, I would say more than half of the world is using the popular social networking sites. If I have to speak personally, Twitter, Facebook and Google+ have been on the top of the lists. The Social Media provides you an exposure to the internet world as a brand, uniqueness. If you're a blogger or any kind of business person where your crowd is based on internet, you have to use most of the social media efficiently. I am going to give you some essential tips that you should know to use the social networking sites efficiently for marketing your business. Let me start with the giant networking media. Yeah., I am talking about Facebook. Facebook as based on the Alexa Rank stands 2nd over the Internet. With an average of 600 million users a day, marketing a brand or business on facebook can go viral. Be around always. Check for how other fellow brand pages share the updates. The first and foremost thing in marketing a page in facebook is getting more likes. And its easy if you're willing to spend some time on it. You can ask your friends and followers to like your page and share it with their friends. If you don't ask, you'll not get what you want. Any social media you're using for marketing, there needs to be a crowd to hear you out. It is invain without a crowd. Maintain a valuable decent number of crowd on your page. Share updates frequently. Let your followers share and comment it too. If possible, conduct give-aways through your facebook page asking any questions about your brand or blog and make sure they like your page before answering the questions. You can make use of the Facebook Insights to supervise the analytics. The secret of using Facebook as a marketing media is to make people notice and share your posts on their timeline. Ask frequent questions to see what your people need or may be ask opinions to improve your brand. Its all about letting your crowd notice that you concern their thoughts. As we can see all the famous brands, blogs, smb's use twitter efficiently as a marketing media. Even though it is just 140 long characters, this micro-blogging service is more powerful than all the other services. It tempts people to visit very often. You don't need to stay online for a whole day. Just login frequently as such let your followers know you are there always with your tweets. Tweets continously. Don't stop tweeting. If you don't have any new posts or updates to tweet, you can just tweet old posts once or twice a while and make sure you're around. Tweeting quotes a while is powerful to get you more followers.Tweets are even more powerful with their #hashtags on and it is tailored according to your place of stay. You can search anything with hashtags. With proper hashtags, your tweets would reach a large number of people all over the world irrespective of the fact they follow you or not. Follow as many professionals on your niche as you can and let them follow you back. Twitter can be highly interactive if you take one step forward starting the conversation. Don't hesitate to start a conversation. It is when you're about to know something new on a topic. Be pleasant to everyone on twitter otherwise you'll get suspended if they block you. Make use of the automatic tools such as Buffer that helps you to tweets at times when you are not online. A professional series released by Google best used for marketing in all senses as a social networking media. I don't have to say more about Google +, as a Google product, it has all the priority to other social networking sites in searches. You may have noticed when you search a topic on Google, it shows some search lists with G+ profile linked to it. Yes, their search algorithm is written in a way to prioritize the list that are linked to Google+ profiles with it along with good and popular content. You need to get at the top lists when searched for a specific topic, you gotta link your G+ profile to your blog. Marketing on Google+ is also not a wild head-ache you should worry about. Share your posts with the public and make sure you like your post publicly. Do everything related to your blog publicly so that the people other than in your circles can see what you do professionally. There is also categories classified with keywords as like the hash tags on Twitter. While posting create categories along with it and post as public. Add people to your circles and let them add you too. Make short-term conversations as possible to connect with your people frequently. Any Social media you use for marketing your business, there are 2 most important things that you should do for the survival. 1. Gather a decent crowd. 2. Share contents as frequently as possible. If you're capable of doing the above two things on any social networking site, then it's a piece of cake to interact with the crowd and market your business online. Now share your ideas here so that it would help others too. Since people are so engaged to social media nowadays. using this kind of tool to promote your own business, is a great idea. You can create your company's page on Facebook, and so an on Twitter. Then through this sites, you can get more clients and you can easily communicate with them. Social media has become part of our everyday life. If you're like me, you wake up in the morning, and the first thing you do is grab your smartphone to check the happenings on Facebook, Twitter, Instagram and Flickr. For small businesses, incorporating social media in their business strategy is a win-win. It allows customers the chance to see products, deals and discounts while giving the business more visibility. Use social networking on your Windows Phone to post pictures, build your contact list, and more on Facebook, LinkedIn, and Twitter. Business building tools that help in Marketing Your Business relationships and promote your business online via Facebook, twitter, Email, SMS and more. This is extremely helpful info!! Very good work. Everything is very interesting to learn and easy to understood. Thank you for giving information. great article, I was very impressed about it, wish you would have stayed next share..! !